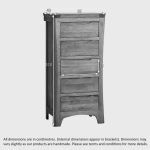 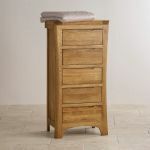 The Orrick Rustic Solid Oak tallboy is designed to offer supplementary storage space, whether you require it in the living room, the bedroom or as a great place to store towels and vanity accessories. 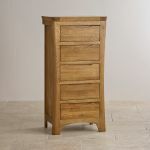 Expertly crafted from A-grade solid oak, this chest of drawers features an exclusive rustic design which enhances the natural beauty of this exquisite material. 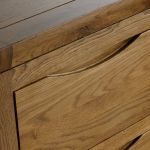 The five generously-sized drawers are each made using traditional dovetail joints with the trademark sculpted handle of our popular Orrick range. 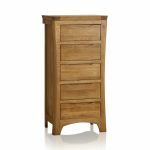 Other quality design features include hand chamfered edges with softly rounded corners to lend a sense of homely, rustic charm. 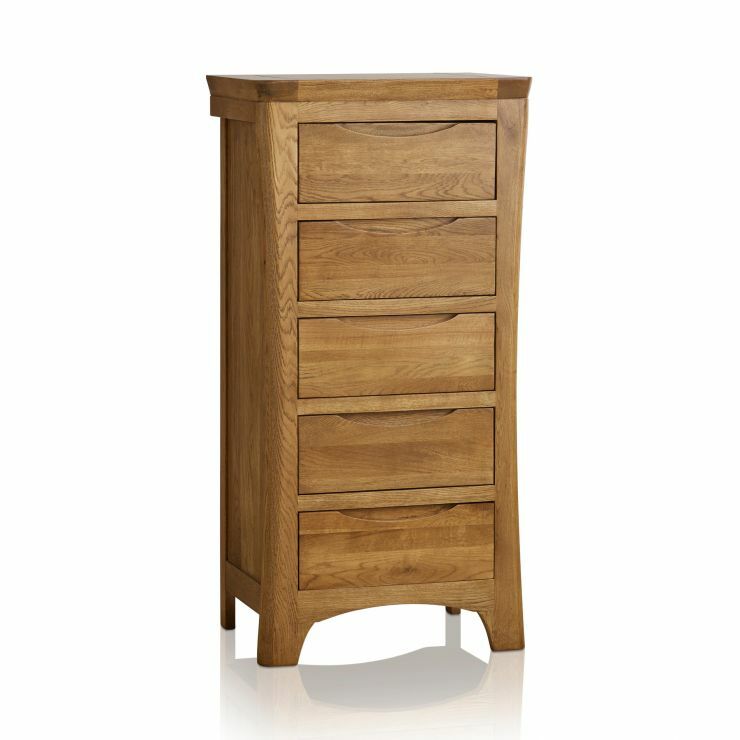 Designed to look particularly good in a room furnished with other items from the Orrick Rustic Solid Oak range, this beautiful 5 drawer chest will suit modern and traditional homes alike.